While back, I gave a very initial review of the Wilderness Systems ATAK 140 kayak. Since then, I've spent a lot of time in the seat. In fact, despite owning a number of boats, it is the only boat I've paddled since May. So as you can probably tell by that statement, I am a fan of the boat. Here is my updated Wilderness Systems A.T.A.K. 140 Review. I’ll start by giving the basic specs and features, which are pretty much straight from the Wilderness Systems website. I first saw a prototype of the ATAK at a demo day early this spring. My initial thought was, “holy cow, that thing is a monster.” Then, I got in and took it for a test paddle. Now, I can’t stop paddling it. 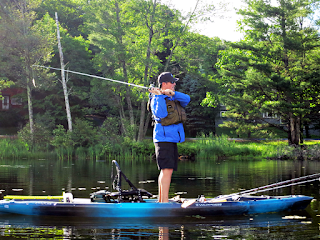 The ATAK has become my go to boat for the rivers and lakes of New England, and continues to impress me even more. I’ll break it down by category, and go through the pros, cons, and details of the boat. This is as stable as any kayak on the market. The stability isn’t just about the width (34”). Much of it can be attributed to the unique pontoon hull design. Standing is a breeze from the high seat position and easily doable from the low position as well. 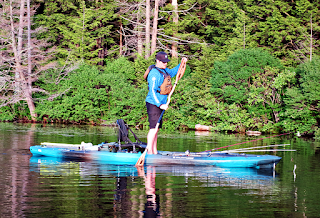 The standing platform is roomy and comfortable, making it easy to paddle while standing. I rarely find myself sitting in this boat, with the exception being for longer paddles or in really high winds. And when seated and paddling or fishing in the high position, the boat does not feel top heavy or tippy, and I’m not a small guy. Stability easily gets a 5 out of 5. At 34” wide, I wasn’t expecting much speed out of the ATAK, and I was OK with that given its stability. However, it surpassed my expectations. 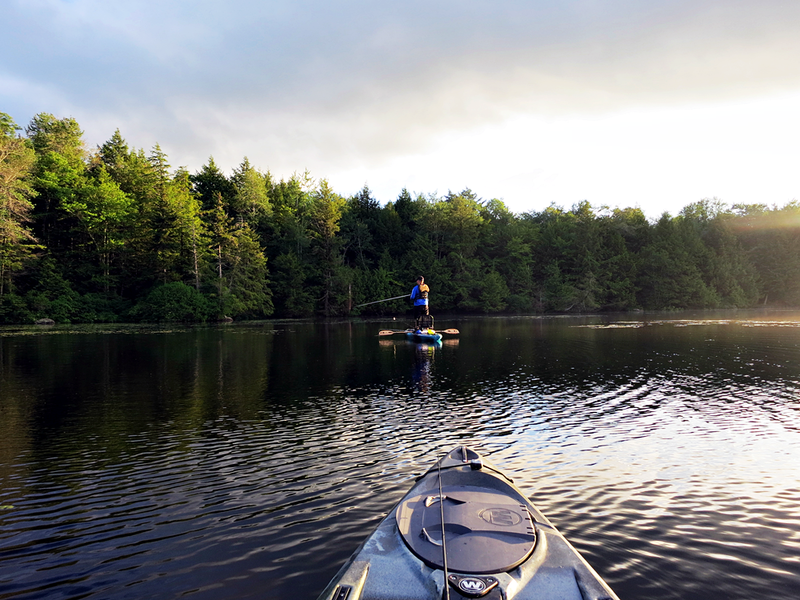 It takes a few starter strokes to get it moving, but when you hit cruising speed, it maintains velocity very well and is a fairly fast kayak compared to many of the wide fishing kayaks on the market. One reason it can maintain speed so efficiently is because it tracks well, and there is very little energy is wasted when paddling. In rough, windy conditions on a large NY lake, the ATAK outpaced a 30” wide kayak, which was designed for a mix of recreational paddling and fishing. It easily cuts through chop and glides over waves, although you may find yourself taking some spray from time to time. Speeds gets a 4 out of 5, and if you wanted to get specific and rate it against other 34” or wider boats, it is an easy 5 out of 5. Just as the ATAK needs a few strokes to get up to speed, it requires a few starter strokes to turn on flat water. From a dead stop, it can take a bit of effort to pull a 180-degree turn. However, it maneuvers significantly better when moving or in flowing water. But again, maneuverability is relative to boat design and what each individual paddler is accustomed to. 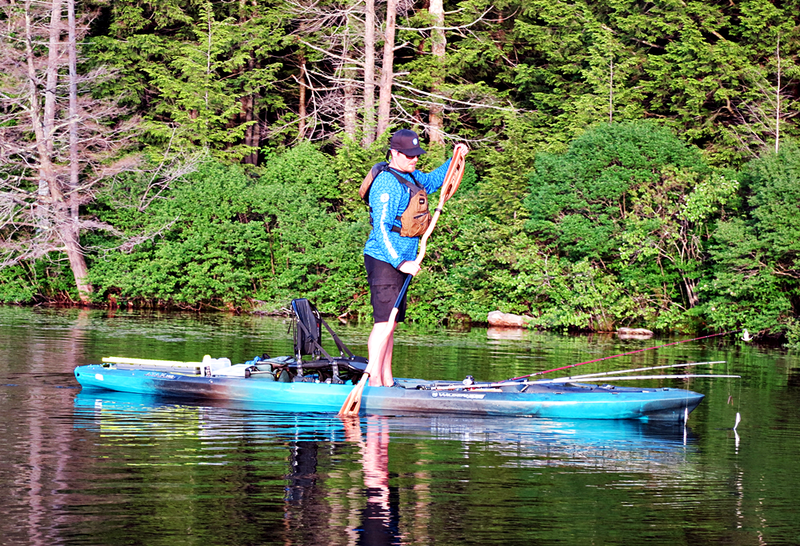 The part of maneuverability that sets the ATAK apart from most other fishing kayaks is how it handles the wind. Here in the Berkshires of western Massachusetts, we get a lot of wind. It’s low profile hull design sheds wind with ease, and even in high gusts, you can drop the seat into the low position and keep on fishing at a pleasant drift rate. Because of this, I feel like the boat doesn't require a rudder. I give it a 4 out of 5 for overall maneuverability. This is another area where the ATAK really excels. It’s large, covered front hatch can handle enough gear for a multi-day camping trip, and has stayed bone dry for me, in even sloppy conditions. It’s FlexPod, which was developed with electronics in mind, has plenty of room for a battery, wires, and extras and has also been perfectly dry inside. It is easily removable, which is great when traveling or for maintenance. The utility tray is perfect for a water bottle, scissors, pliers, and a hook sharpener, and the mid-hatch is great for the wallet, keys, and phone. 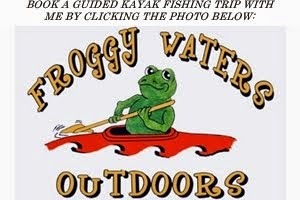 The rear tank well easily fits 4 large tackle boxes and a tackle bag, but can also fit various size crates and coolers. The rear storage is made to hold rods, anchor poles, or batteries, and includes foam blocks to help hold each in place. All in all, you have a ton of storage on this boat. Combined with the sliding AirPro Max seat, huge standing deck, AirPro 3D seat (add-on), and nearly unlimited potential for customization, it is an extremely comfortable fish catching machine. It is a 5 out of 5 in this category. 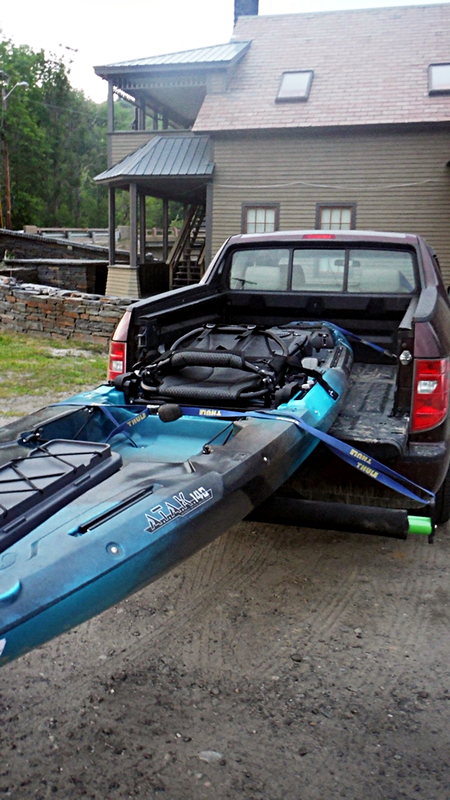 In addition to features I’ve already mentioned, the ATAK comes with a pre-cut Conseal deck kit, a paddle/push pole bungee clip, oversize carry handles, molded side handles, a paddle keeper on the front hatch, and multiple areas with bungee cords. If there has been a knock on the ATAK, it has been its lack of accessories, such as rod holders or a light pole. However, I think the lack of these accessories can push you to be more creative when rigging the ATAK. I’ve already seen multiple types of rod holders, gear track, and various accessories rigged all over the boat. Plus, it keeps you from paying extra for unwanted add-ons. I will note that the carry handles on this boat are phenomenal. Even my wife, who often finds that handles dig into or hurt her hands, mentioned how much she likes them compared to the other boats we have. The boat also includes small recessed areas with bungees in the rear tank well. They were made to fit tackle boxes, but all of mine are too large to fit. However, I’ve found them to be great spots for stowing rain gear, Boga grips, water bottles, food, or first aid/emergency kits. One other feature that has been much discussed is the weight. At 86 lbs, it isn’t a light boat. However, I’ve found that it is fairly easy to transport in the back of my truck, although I recommend a bed extender to make it both easier to load/unload and safely transport. It is also easy to load onto trailers. The ATAK could potentially be car topped with specific types of roof racks, but it will require a physically fit individual and some practice. The lack of external side handles and 34” width make it difficult to lift overhead, so developing a loading system over time will be important. 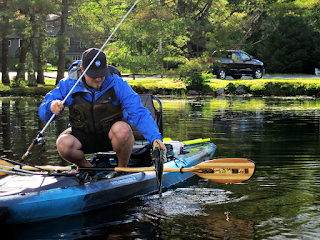 Although it doesn’t come with a full angler package, like most of the Wilderness Systems fleet, it still gets a 4 out of 5 for features. 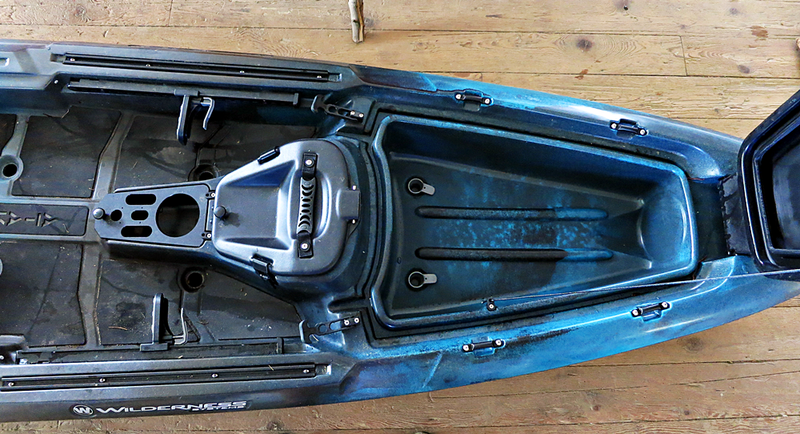 It shouldn’t be difficult to tell how much I like this boat, but that doesn’t mean it is a perfect kayak. Although mine has yet to leak, some have reported small FlexPod leaks around the seal in rough weather. The fix is simple enough (adding a piece of weather stripping inside the pod), but it is still a hassle. Others have added weather stripping around the large front hatch as well. In general, I find that the bow of the boat sits low in the water. 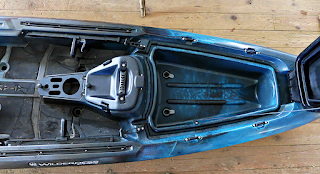 This is great for shedding wind, but means that the front scuppers allow a bit more water onto the front portion of the deck (below the foot pegs) than most kayaks. In some situations, it may be best to plug them. I am still not sure how much I will use the rear rod pod/hatch. I wish it included a molded or riveted piece for a lock, because I think I would mainly use it on longer road trips when I want to know my gear is secure. However, I think a locking mechanism can be customized fairly easily. I am also not in love with the bungee paddle clip. When the seat is fully back (where I prefer it), the clip is very close to the seat rail, making it awkward/difficult to reach. Also, I wish the recessed area for the paddle/push pole were slightly deeper, as I find my push pole often becomes dislodged in rough conditions. The 3D seat is a perfect platform for anglers who stand a lot, especially fly fishers. However, going back and forth between the AirPro Max and AirPro 3D is difficult, and requires unscrewing and stowing the Max seat each time. Another option is to slide the Max seat fully forward, step over it, and use the 3D, but that process may be best executed on land. Also, when sitting in the Max seat, the 3D seat will bump the head/neck of taller anglers unless you slide the seat forward. I am being picky, because these issues can be remedied with minor adjustments, but be aware that it will take some time for everything to gel. The 3D seat also limits the types of rod holders you can use on the stern, as some will stick up into the seat or its legs, so take some time to think about what you prefer before installing accessories. And although I touched on each of these above, and believe the solutions are simple, many have complained about the weight, lack of extras, and transport difficulties when car topping. We all have individual preferences and prefer certain features/specs in the kayaks we paddle, because there is no perfect kayak. If you are in the market and comparing boats, know that there will always be trade-offs. If you are on the fence about the ATAK or have questions, don't hesitate to post them here or shoot me an email (drew@manpoweredfishing.com). Overall, my ATAK scores average out to a 4.5 out of 5, and that seems about right. It exceeded my initial expectations and continues to impress. The next step will be adding some customized features now that I have had sufficient saddle time – including additional gear tracks, rod holders and full electronics. Check out the Wilderness Systems ATAK Owners Group, where folks are constantly showing off their mods, add-ons, and customizations. 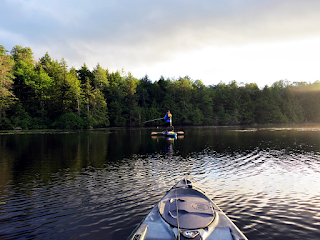 I always recommend to try before you buy, so if you are interested in an ATAK, go paddle on first…I guarantee you will not be disappointed.